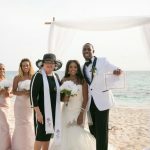 I had a lot invested in this celebration, because I wanted it to be extra special for this Texas couple travelling with two of their grand-children and two other family members. 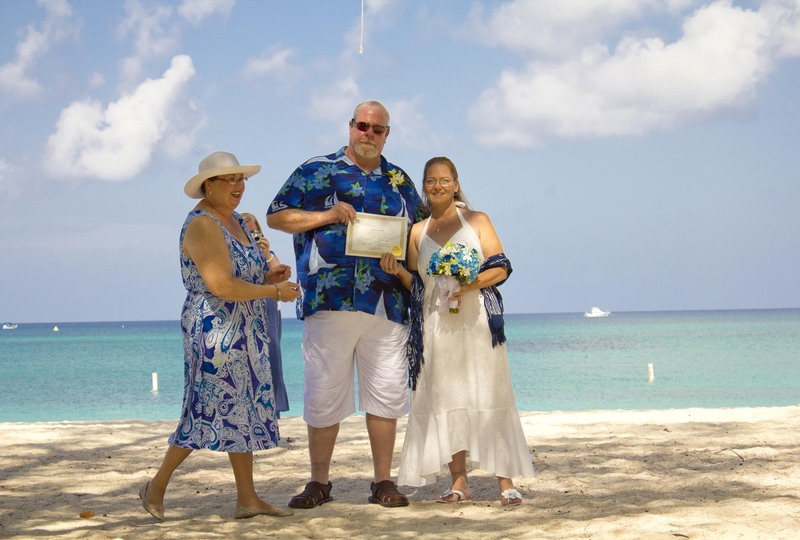 Perhaps because it was close to my own anniversary, but wanted this to be a vacation they would always remember.Thanks to all our wedding vendors and service providers who helped me show our visitors some true Caymanian hospitality. 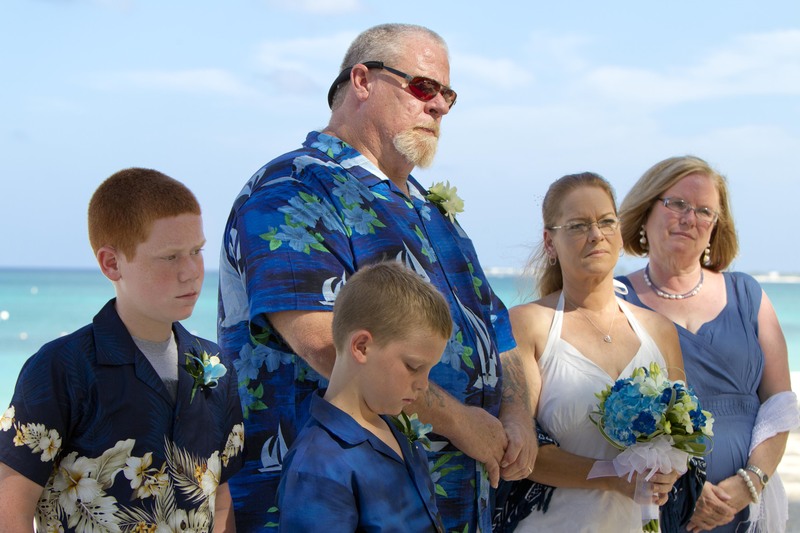 These photos by Mari Abe, special order blue flowers from Trisha's Roses, cake by Miss Vivene's Cakes. 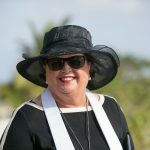 Transportation arranged by Joselene Vegiz. 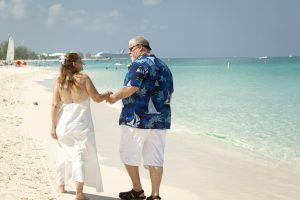 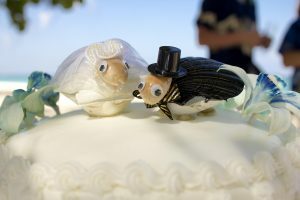 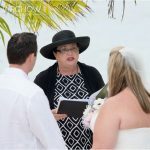 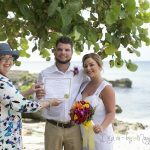 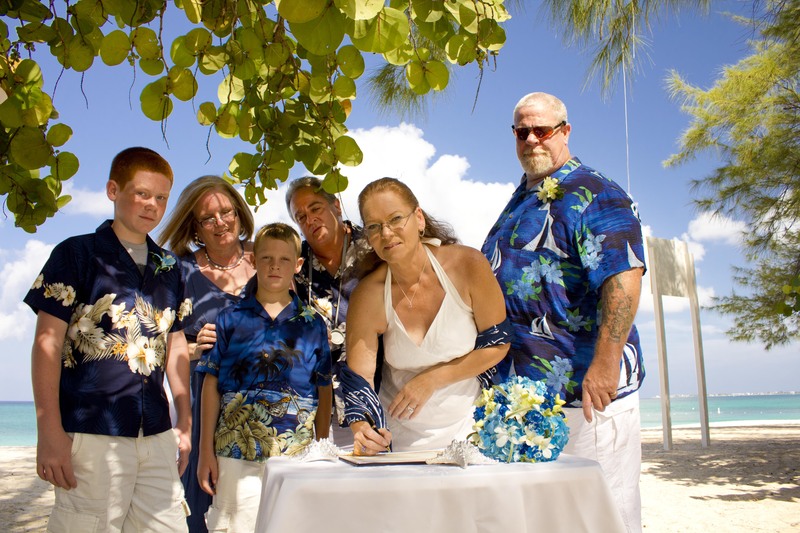 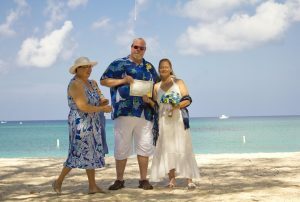 this was a deluxe Cayman Wedding Vow Renewal, for a party who were travelling by cruise-ship and spending the day in George Town, Grand Cayman.